ELECTION TIME: It is once again time to elect three members to three-year terms on the BPA Board of Directors. Get all the information on our Election Page. As usual, voting is effortless and takes only a moment thanks to the electronic ballot. Voting will remain open until July 15. All members (any paid attendee of WBC for more than one day is considered a member) are urged to vote since validation requires sufficient membership participation. 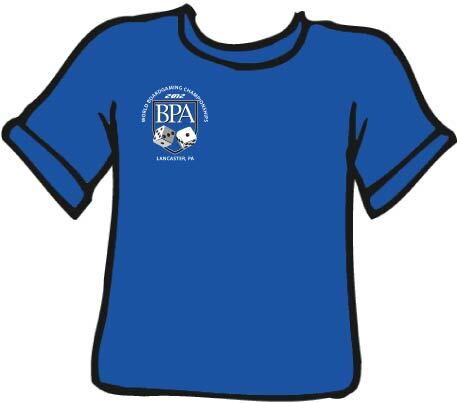 WBC VENDOR/EXHIBITOR LINKS: BPA welcomes Mercury Games as our newest vendor to join our returning favorite publishers with a presence at WBC 2013. You can find prominent links to all of them on our homepage. WBC EVENT PREVIEWS: The membership is to be congratulated for stepping forward to save all eligible qualifying events from the Orphans List and set a new record for number of tournaments at WBC with 157 (108 Century/Legacy, 25 Continuing Trials, 24 Sponsored Trials) plus 20 Juniors events. Unfortunately, many GMs are still doing double and triple duty, so more volunteers are needed. If you don't see yourself as a GM type, at least give some consideration to helping out next time by volunteering to assist a GM as a demonstrator or clerical assistant. You can now get an advanced peek at this virtual cornucopia of gaming choices with Event Previews as only WBC does them. The slate of 20 free Juniors events for those 12 & under can be found there. A chronological Juniors schedule is also available. Look for WBC's usual array of Scheduling devices and Pre-Registration information to be announced in our May newsletter. LAST CHANCE FOR FREEBIES: The free Yearbooks and souvenir T-shirts or hats promotion for early Tribune membership commitment ends on April 30. Thereafter, such items will only be available for separate purchase. Tribune membership entitles you to free admission to all of WBC week plus the Pre-Cons—nine days in all. Submit your membership now to qualify. KICK STARTER DEMOS: In an effort to alleviate crowding in the Open Gaming theatre, exhibit tables will NOT be allowed in the Showroom in 2013. Monitors will be tasked with stricter policing of commercial efforts including prospective game designers who set up displays to troll for P500 backing. While you are free to Open Game anything you like, you will not be allowed to monopolize tables with displays that are not being actively played. Instead, designers/publishers are urged to register for FREE scheduled demos in the Paradise Assembly demonstration area. To be included in the printed schedule, you must be a current Sustaining level or higher member and register your demo no later than June 1. Demonstrations are limited to one hour duration unless longer periods are requested in advance. Multiple or longer demonstrations are allowed on a space-available basis. Contact conventiondirector@boardgamers.org for additional information. Include alternate times and type of table desired (either 6' rounds or 8' x 30" rectangulars) as well as boxart files for display signage. Reservations will be made on a first come, first served basis. TOW WINS WAR AT SEA: Tim Tow won his first BPA War At Sea championship plaque, besting the field of 41 players in the Ninth BPA War At Sea PBeM Championship. Tim went 5-0 to win the single elimination event. He began with a win over Jim Laws, then continued to defeat Ken Gutermuth, Phil Watkins and Ed Menzel, before vanquishing second place Robert Drozd in the championship match. Also earning laurels were Ed Menzel, Vince Meconi, Phil Watkins and Michael Ussery who finished 3rd through 6th. Complete details including updated laurel totals can be found at http://boardgamers.org/yearbook13/waspge.htm#pbem. GM Bruce Monnin plans to start the next event in a Swiss-Elim format shortly before or after WBC with a two month time limit per round. Instead of bidding for sides (which can lead to specialization in one side of the other) he plans to give the Axis 2.0 POC at the start of each game. Sides will be randomly assigned in the first round, and in any other matchup where both players have played each side an equal number of times. When one player has played a side more often than his opponent, his opponent will be assigned that side. BLUMENTRITT WINS VICTORY IN THE PACIFIC: Daniel Blumentritt's USN saved Pearl Harbor from conversion on Turn 3 to keep the POC low throughout the game and put the final nail in the coffin at the end of Turn 6 (with the score already down to 14). Even the small NT1 bid of 1.5 was insufficient to keep Tim Tow's IJN in contention. The other laurelists were Robert Drozd, Greg Smith, Scott Beall, and Rob Kircher. Complete details including updated laurel totals can be found at http://boardgamers.org/yearbook13/vippge.htm#pbem. 39 admirals were part of the original field; 38 total games were played before Daniel seized the crown! In addition to the plaque, BPA laurels, and his name on the traveling World Championship trophy, Daniel also wins a coveted invitation to the 2013 Top Ten Invitational. See all of the details at http://www.gameaholics.com/vitp_bpa/vitp_bpa_single_elim_11.htm. 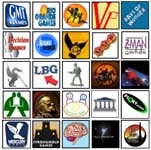 Get the details of the tournament that will begin Sept. 15 at http://www.gameaholics.com/vitp_format/vitp_bpa_format.htm. MARCH MADNESS: As memories of Louisville's title fades, the Tenth Annual BPA March Madness tournament continues with its own Final Four. One half of the bracket was much like the Michigan-Syracuse battle of two #4 seeds, as Derek Landel's #16 seeded 1978 Duke team defeated Jeremy Billones' #15 seeded 1979 Michigan State team. The other semifinal is like the #1 Louisville vs #9 Wichita State matchup. Pete Stein is leading his #5 seeded 1998 Utah squad vs Ken Gutermuth's #50 seeded 1982 Houston team. Check the brackets at http://www.nktelco.net/bdmonnin/mm-brack-2013.htm. FOR THE PEOPLE PROGRESS: The event is entering the final lap with the most dominant player of the past decade, James Pei, defending his title against relative newcomer Sean Dolbee. Sean defeated James’ usual opponent, David Dockter, in the quarterfinals in one of the most hotly contested, if lopsided, matches of the tournament; and then bested Gary Kirk in the semifinals. In other action Jeff Donald defeated Doug Pratto, Mustafa Corapci and your faithful GM Don Chappell, losing only to Nick Pei during the Swiss rounds. After randomly drawing, with four others, a spot in the Championship bracket, Jeff bested Tom Thornsen in the quarterfinals. Then like many a hero before him, he again ran afoul of the Pei mystique; losing to James in the semifinal round. Both Gary and Jeff are proving to be up and coming sharks in their own right; they were both “mentioned in dispatches” after last summer’s WBC. They are now battling it out for the laurels and bonus prizes awarded for third and fourth places. 13 players qualified for the Championship bracket. The eight qualifiers not randomly selected constituted a nice round number, so we opened a consolation bracket with an equal prize structure, but alas no laurels. For the finals in that bracket, the aforementioned Nick Pei is awaiting the winner of the semifinal game between Alberto Molina and Mike Mitchell.